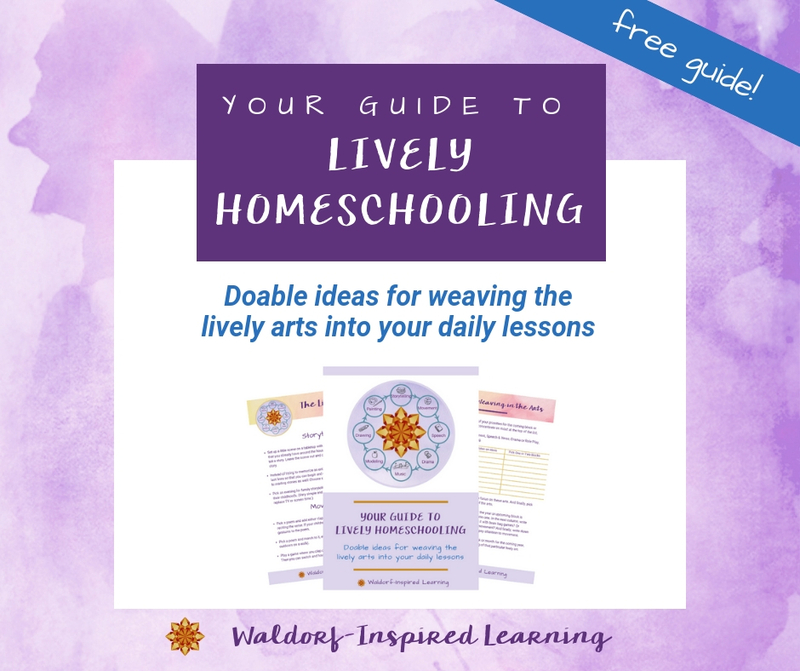 Get the mentoring and support you need to create a Waldorf homeschooling plan for your unique family. Here are the different ways that you can learn with me and benefit from my almost 25 years of homeschooling my three children. 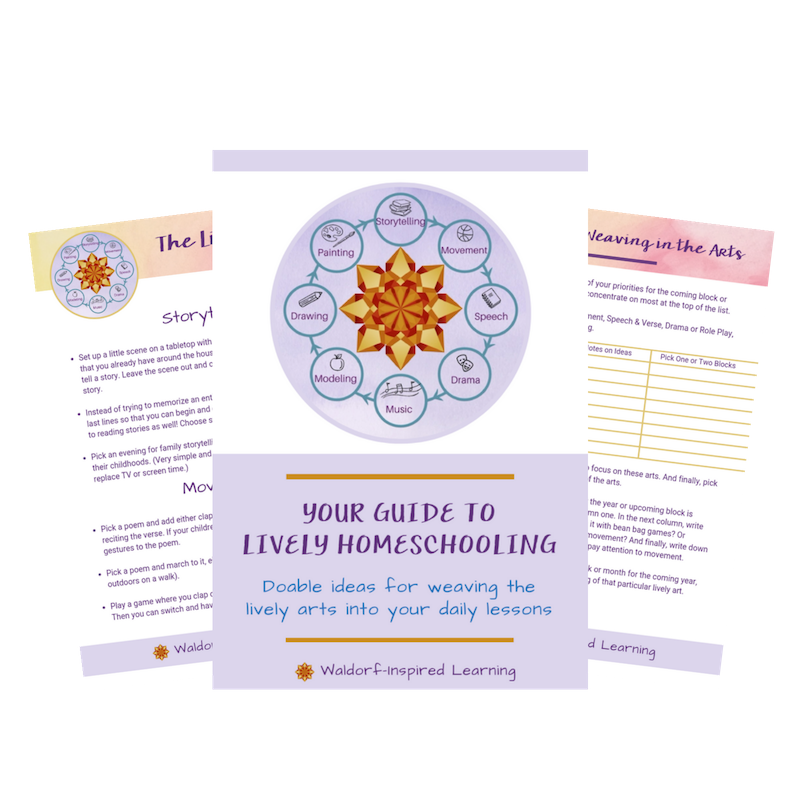 My goal is to empower and inspire you to create a homeschooling plan that’s just right for you and your family. Have a look at the descriptions of my products and services below. You can also find everything that I offer in my Waldorf-Inspired Learning Studio here. Join the new Homeschool with Waldorf mentorship community for the support you need to sustain your Waldorf homeschooling journey. 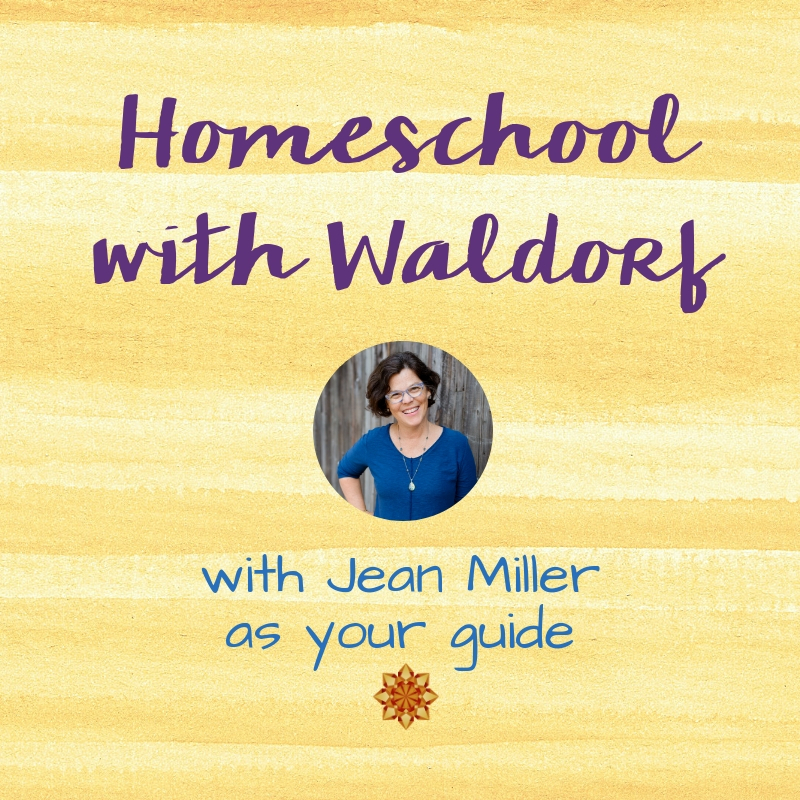 Every month, get a new Masterclass on one aspect of Waldorf homeschooling, join a Plan Along for support and help with your block and lesson planning, and join a group Coaching Call with Jean. Our private Facebook group is engaged and supportive giving you community connections on your journey so you don’t feel so alone. Come join us! Join me in my course and group coaching program, Plan It Out. Work through the six lessons at your own pace (if you do two lessons a week, you will complete in three weeks). Plus join in a live run-through every June. Includes videos and print materials with specific action steps to help you create a clear vision and plan for next month, season, or year. Lifetime access to the lessons & private Facebook group. Need help crafting a homeschooling plan that works for your family? 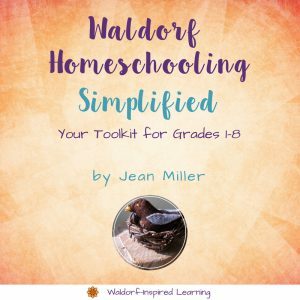 Check out my guidebook, Waldorf Homeschooling Simplified: A Toolkit for Grades 1-8. This resource guide helps you to understand the method, provides a process for planning with tools and templates, and recommends tried and true resources for each main lesson block in every grade, 1-8. 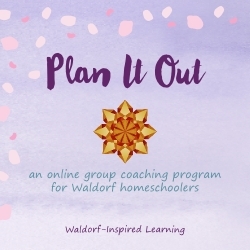 With a big picture understanding of the Waldorf approach, guidance on how to create a plan, and high quality resources, you can make Waldorf work for your family. Need some one-on-one support from an experienced Waldorf homeschooler? I can help you problem-solve and plan lessons for your children, pulling from my experience homeschooling three children over the past 25+ years. 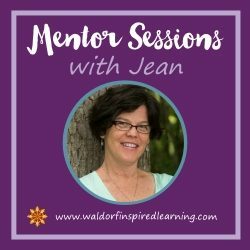 You can find details about Mentor Sessions with Jean here. Want to learn and laugh and create with other homeschoolers at a live weekend event? 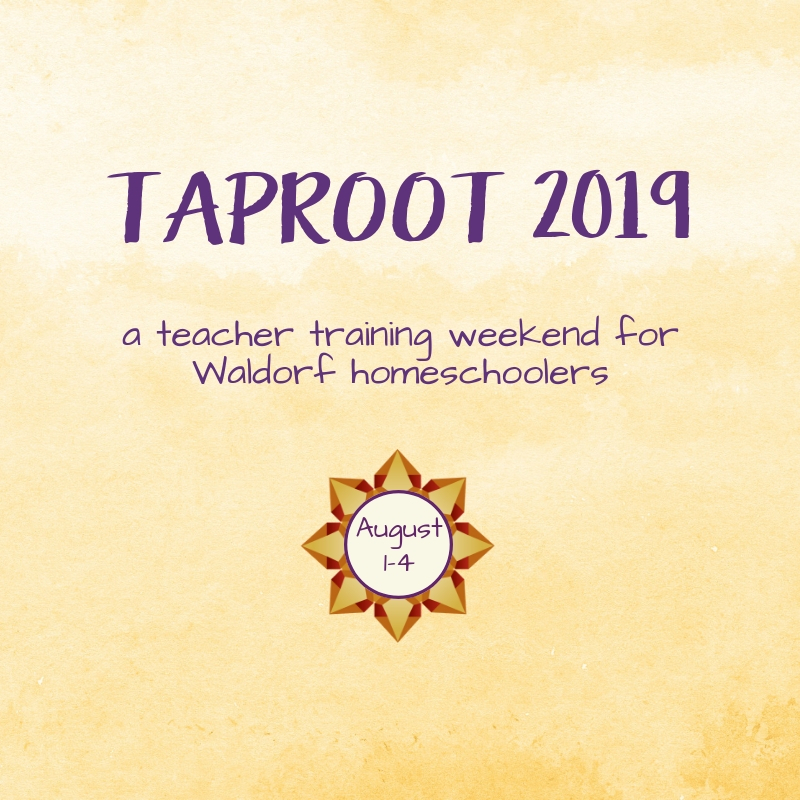 Every summer, a team of seven experienced Waldorf homeschoolers and teachers gather in Ohio with homeschooling Mamas just like you from all over North America at the annual Taproot Teacher Training. I host this training with my mentor Barbara Dewey of Waldorf Without Walls and 2019 will mark the 13th annual Taproot training. Taproot 2019 – August 1-4, 2019 in northeastern Ohio! Have questions? Let me know how I can help you here.